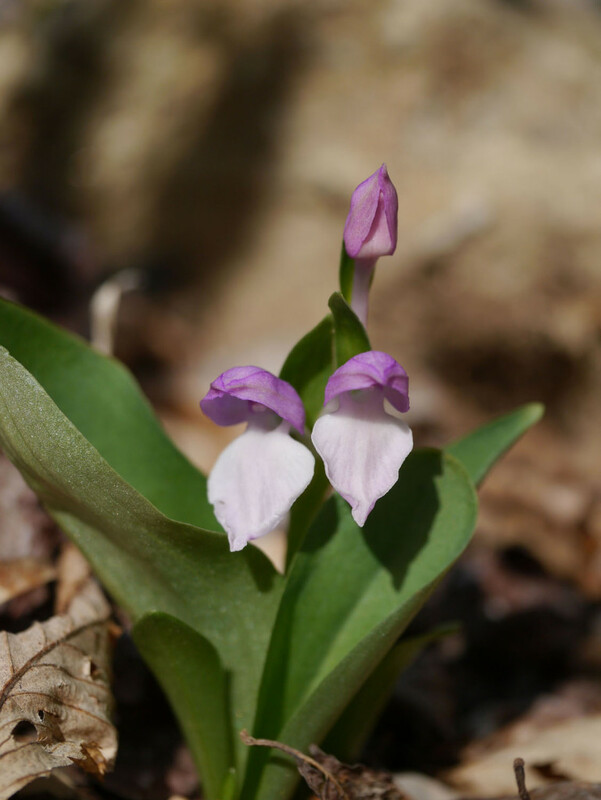 One of spring’s beautiful flowers in the moist woods of eastern and central North America is the Showy orchis (Galearis spectabilis). 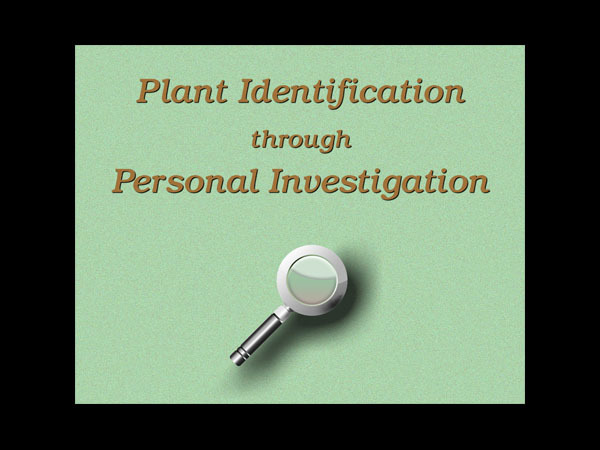 This perennial plant’s pink-lavender-purple and white flowers clearly designate it as an orchid. 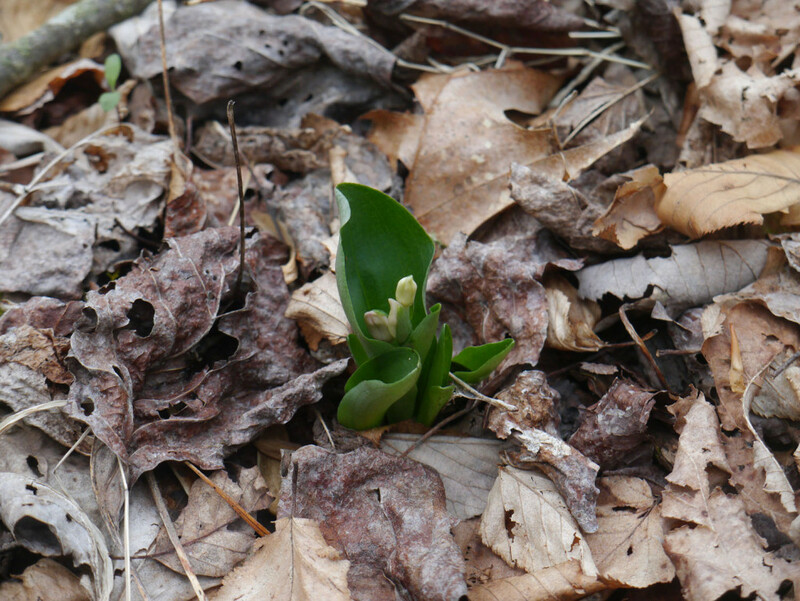 If you know where to look, having found this native orchid in a previous year, you can seek its early leaves and developing flower buds in the same location the following spring. Each flower’s helmet, or hood, may be pink or lavender in color, while the lip is predominantly white. 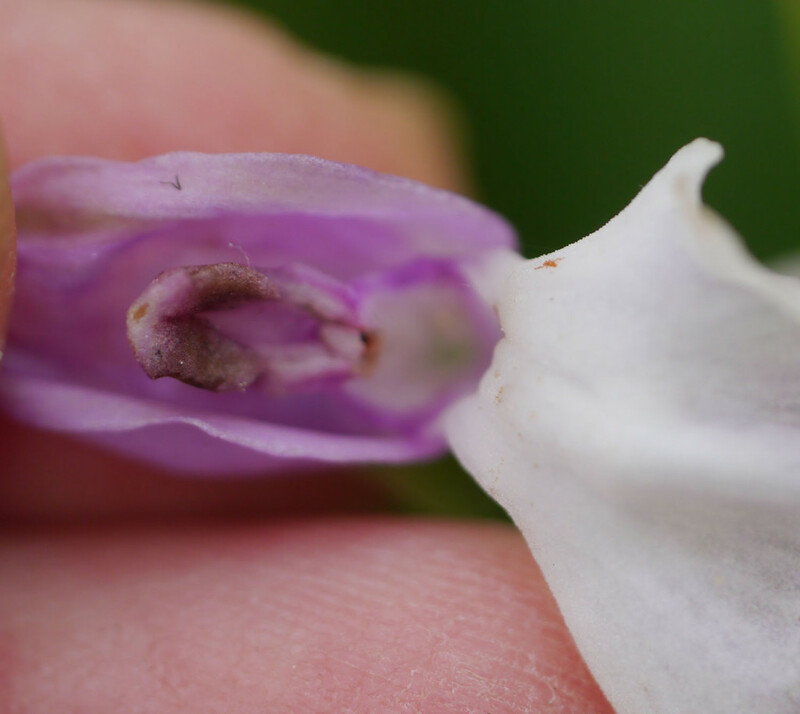 With care, you can tip the small flower back and look closely at its reproductive parts. These include the orchid’s column with its fused stamens, style and stigma — along with two pollinia. In this instance, both pollinia have been detached by an insect pollinator (or two). 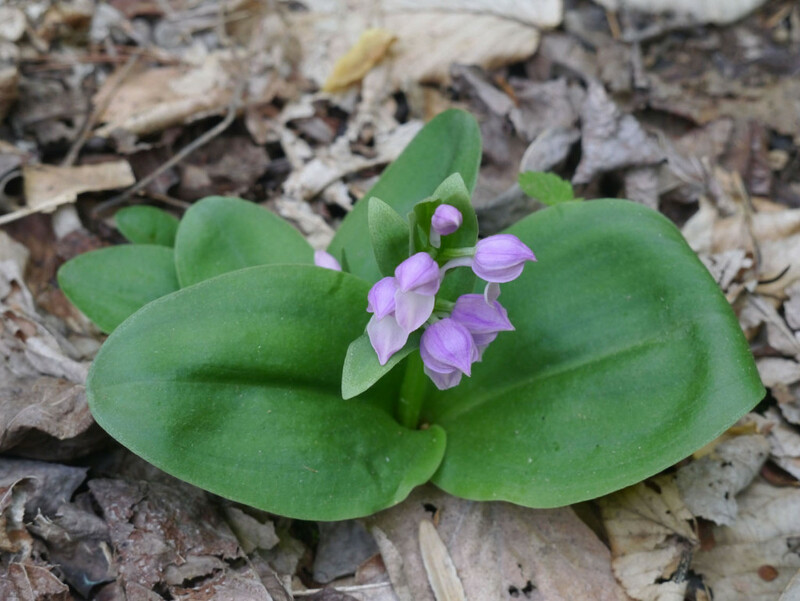 Showy orchis has two broadly elliptic leaves with parallel venation. In the next photo, there are several plants growing closely together. 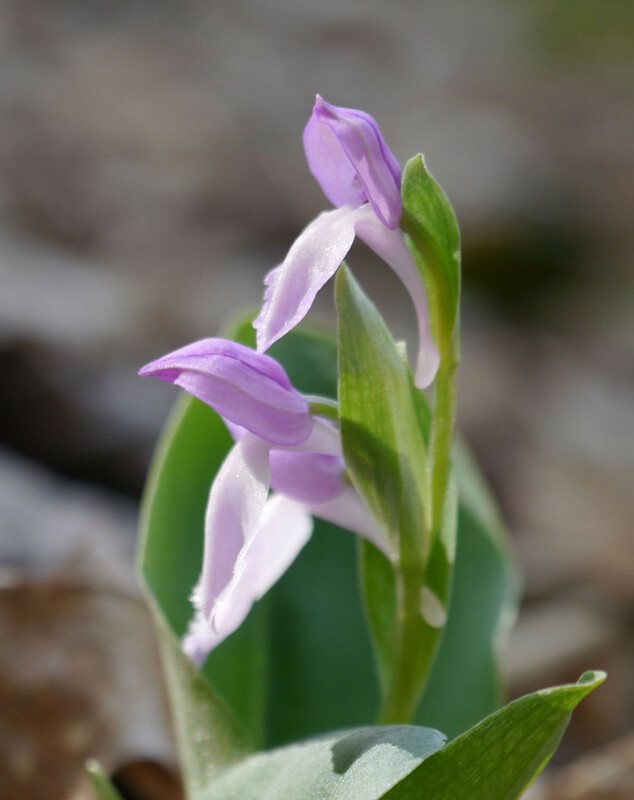 Watch this video to see more Showy orchis (Galearis spectabilis) flowers including close views of their reproductive parts, to study the flower bracts and spurs, and to observe hundreds of very tiny seeds.